Here is a list of best free image editors. These image editors let you edit image files easily. All these image editors are completely free and can be downloaded to Windows PC. These image editing software offer various features, like: supports opening and editing of various formats such as JPG, JPEG, GIF, BMP, ICO, WMF, TIFF, PNG, TGA, resize images, create slide shows, create animated GIFs, set transparency in GIF files, format conversion, batch process, apply various effects, picture collage making, edit or create web graphics and more. So, go through this list of free image editors and see which ones you like the most. IrfanView is a very fast image viewer and converter. It supports various image formats like JPG, JPEG, GIF, BMP, ICO, WMF, TIFF, PNG etc. You can convert between graphic formats. You can create slide shows of your images with various transition effects and save them to EXE or SCR formats. You can configure or use many hotkeys. It can take screen shots of any still or animated screen to any image format you specified. PhotoScape is a photo editing software and has various features. 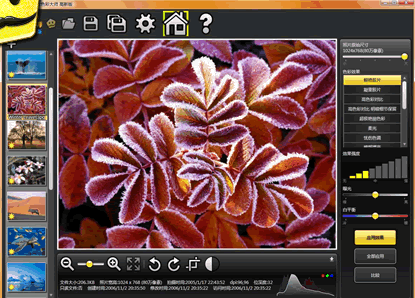 It has explorer like viewer, editor to do various tasks like cropping, color adjustment/correction, brightness. You can create animated GIFs from multiple photos. Slideshows can also be made with the help of PhotoScape. It can convert images from one format to others too. It has a screen capture and batch rename facility also. FastStone Image Viewer is a free program to browse, convert and edit images. It has many features including image viewing, resizing, cropping, red eye removal, color adjustments etc. It is a powerful image editing tool. It supports numerous graphic formats including JPEG, JPEG 2000, BMP, GIF, PNG, PCX, PSD, TIFF, WMF, ICO, TGA etc. It has a musical slideshow with more than 150 transitional effects. PicPick is a full-featured screen capture tool, image editor, a color picker, a color palette and much more. It can take screenshots of the entire screen, an active window, specific region of the screen, free hand, scrolling window and more. You can customize your keyboard shortcuts to take a screenshot. You can output this screenshot to various options like file, printer,office programs (word, excel etc.) and other programs. It is user friendly software. Paint.Net is free image editing/viewing software. It is for beginners to advance users. It has very simple user interface. You can convert between other image formats by using this software. You can Crop, Resize, Rotate etc. from Image menu as shown below. It supports layers, undo/redo history etc. It supports common image formats such as JPEG, GIF, PNG, TIFF and others. GIMP (GNU Image Manipulation Program) is a free image editing software. It can do various simple to complex tasks easily. It has image format converter and has batch process also. You can export to other image formats. It has complex features like layers, filters and effects. It has many plugins and extensions to do the various tasks. Photo Pos Pro is a free photo editing software. You can edit and correct your digital images with this software. It supports many image formats. You can remove any unwanted objects from the picture by using clone tool. You can apply frames to your photos. It also supports transparent GIFs and PNGs. You can give special effects to your photos with its built in templates. PC Image Editor is a free graphics editor with various features. It supports various formats like BMP, GIF, JPG, TIFF, PCX, PNG, TGA, J2K, WMF etc. You can import and export between these formats too. This software is for beginners to professionals. You can edit your images and can give various effects to them. You can apply filters to your images also. You can adjust with adjustment commands such as Auto Levels, Contrast, Brightness, Gamma, Hue, Saturation, RGB Channel, Invert, Colorize etc. Pos Free Photo Editor is a free photo editor with simple and user friendly interface. You can view, enhance and add frames to your photos easily. It supports major graphic formats. You can apply various predefined photo frames to your photos. Also print multiple images on a single page with different photo effects. You can adjust the photos with wide range of commands like negatives and gray-scale, hues, sharpness, RGB color, and more. Fotor is an image editing software and has various filters and tools to customize your photos. It allows you to add effects like brightness, contrast, white balance, and saturation, sharpen, blur, add various borders, crop and rotate images quickly and then you can save and share instantly to Facebook or Twitter. It supports importing and exporting to other image formats too. XnView is a free image browser, viewer and converter. It has explorer like browser and you can browse any directory. It can read about 400 file formats such as JPEG, JPEG 2000, BMP, GIF, PNG, TIFF, RAW etc. It also supports some multimedia formats. You can create slide shows with various transitions, capture screen and has a scanner support. ACDSee is a Free Photo viewing software. It is very fast image viewer. It supports 11 file formats like JPEG, GIF, BMP, PNG, TGA, TIFF, WMF etc. You can view your images in full screen mode by just simple double clicking on a photo. You can set any photo of your choice as desktop wallpaper. You can change orientation, print headers, footers and captions too. Quick JPEG Resize and Crop is a free software to quickly resize or crop JPEG images. If there are photos that are taken by higher resolution cameras then you can adjust the quality of the images with this software and can reduce their size. It has various presets to reduce the size of your photos. Some other formats can also be converted to JPEGs with the help of this software. It installs and uninstalls easily. Photo Decorator is free software to do various tasks to your photos. You can easily crop your photos. You can add various frames presets to your photos. You can apply various effects to your photos like color, alpha, brightness, sharpness, or add mosaic, noise, shadow, bevel, blur and others. With drawing tool you can easily draw or add shapes such as lines, curves, circle, rectangle etc on your photos. You can give professional looking styles to your photos. Photo Filter Factory is a photo editing software with large amount of filters for editing images. Some common formats supported are: BMP, GIF, JPEG, PNG, TGA, TIFF, WMF. The program has over four thousand graphical image filters and effects like Aged Pager, Bamboo, Black Marble, Cloudy Sky, Cobble Stone etc. Photo Filter Factory has a batch image converter which can convert and re-size multiple images at once. Its interface is very simple. CollageIt is a easy-to-use program for creating photo collages. It has more than 150 templates for making collages, scrapbooks, posters, invitations, calendars, greeting cards etc. You can create personalized collage from your photos. It has drag and drop feature to create a collage. It has various effects like frames and mask. It has a Collage Wizard also for beginners. FotoMix is a free program that allows you to mix and manipulate different backgrounds and foregrounds, to create a variety of images. You can use it to design photo collages, desktop wallpapers, CD and DVD covers, and Web graphics. You can add or remove parts in your photos. Also can add/remove or alter backgrounds. Its interface is very simple. You can do other common tasks to your photos too. Free Image Editor is a image editing software that lets you retouch existing photos or create original graphics. It supports various formats like JPEG, JPEG2000, TIFF, PNG, BMP, PCX, DIB, RLE, TGA, GIF, WMF, ICO, CUR, PSD etc. It also supports importing images from any scanner. It comes in a ZIP file format and installs and uninstalls easily. You can do various general tasks with your photos like cropping, rotating, flipping, changing brightness/contrast etc. PhotoFiltre is a free image retouching program. It allows users to do simple or advanced adjustments to images. It has wide range of filters to apply on images. You can do various tasks such as resize, rotate, flip images, alter color, tone, artistic effects, textures, borders, frames, add text, shapes, and objects to your photos easily. It has simple interface and is easy to use. It can import images from a scanner or other compatible devices. Photo Frame & Effects Free is a free software that allow users to add frames and borders effects to their digital photos. It has easy-to-use interface. It supports file formats like JPEG, BMP and GIF. You can easily add borders and frames to your photos. It has various frames and effects presets; you can apply them easily with clicks. You can adjust color balance, contrast, brightness and gamma correction. The program installs and uninstalls easily. Mihov Image Resizer is a free software for doing some common tasks such as resizing, converting, and rotating JPEG, GIF, and BMP images in batch mode. You can resize your images to bigger or smaller size easily. It allows you to convert and save the images to and from JPEG, GIF and BMP formats in batch mode. You can also rotate images too. With Fly Free Photo Editing and Viewer software, you can view and edit your pictures easily. It has multiple tabs and you can view, edit or share multiple photos simultaneously. You can do batch convert, rotate, resize etc very easily and can create PowerPoint slideshows in seconds. It has upload function, by that you can upload photos on popular websites such as Facebook, Flickr, and Google. Easy Photo Effects is a free software that applies cool effects to your digital photos easily. It has a big toolbar to control all the commands. You can do basic as well as complex tasks with your photos easily with the help of command buttons on the toolbar. Easy Photo Effects only handles JPEGs, PNGs and BMPs. You can resize, add borders, adjusting brightness and contrast, and also apply various filters such as sepia, colored grid, and embossed effects to your digital photos. Ai Picture Utility is a software to view, edit, enhance and organize photos in an easy manner. If you have a large collection of digital pictures it quickly thumbnails entire drives and you can arrange your collection visually. You can create slideshows with a choice of 173 cool inbuilt effects. Format supported includes PNG, PhotoCD, PSD, GIF, BMP, TGA, WMF, TIF etc. Its viewer speed is unmatched and includes widescreen and other zooming options. Other common imaging tools include red eye removal, wallpaper, resizing, rotate-by-degree, borders etc. PhotoPad Image Editor is a photo editing software for Windows. It allows you to edit and apply various effects to photos. You can crop, rotate, resize easily. You can give effects to your photos like grayscale, sepia tones, red eye reduction, hue, saturation and brightness. It supports GIF, JPG, PSD, PNG, BMP and other formats. You can preview your effects before applying them. Paint.com is free software for digital photos. You can draw pictures, retouch photos, create animated GIFs, do designing with layers, copy or remove objects from photos etc. It is a pixel-oriented software. You can invoke commands using mouse gestures too. Supports many standard image formats like JPG, PNG, BMP, GIF and more. It has various tools to edit photos. Altarsoft Photo Editor is free program for editing images and capturing screenshots. It is a simple photo editor. You can edit images easily. It supports layers. You can capture screenshots with the help of this program and then save them in JPEG, GIF, TIFF or PDF files easily. You can apply various filters, draw lines and shapes to your images. You can also import images from your camera. It installs and uninstalls easily. Photobie Design Studio is a free image editing software. It has its own image browser and has advance capturing tool. You can create as well as edit GIF animations. It has various inbuilt filters and supports thousands of PHOTOSHOP filters. You can give 3D effects to your photos. You can also create high quality PDF files. It supports various common graphic file formats. PhoXo is a free image editing software. It is small, fast and easy to use software. You can crop your images. You can apply frames to your photos. You can easily add various text effects to images. It has clip-art feature, you can download thousands of free clip-art from its website. It has layers feature, various undo levels, more than 50 special effects, batch processing etc. It uses less system resources. PixBuilder Studio is a free image editing software. It has very simple interface. You can do various image editing processes with this software. You can resize images easily. It supports various popular formats such as JPEG, GIF, PNG. It has various inbuilt effects and you can apply to your images easily. You can also create web graphics. It installs and uninstalls easily. Digital Image Tool is a freeware to edit images. You can rename, resize, rotate, tag images, watermark and more can be done with images. It is a very helpful program. With the batch mode of this program you can do various image editing tasks easily. It supports various image formats like JPG, BMP, GIF, TIF, PSD, PNG, TGA, RAW and many camera formats. It installs and uninstall easily. is free and easy-to-use image editor. You can turn your digital photos to great looking images with the help of this software. You can draw your images with the help of pencil or a brush. You can add text to your pictures. It has many tools to give different eye catching effects to your pictures. It supports more than 20 image formats. Hornil StylePix is a graphics editing program with various advanced features. With Hornil StylePix you can give various styles to your images. It has basic user interface and is easy to use. You can easily edit images and retouch your photos. It has various special effects, and you can apply them to your images easily. It installs and uninstalls easily. PhotoPlus Starter Edition is free software to edit, enhance, and organize photos. You can do various simple to complex tasks with your photos with the help of this program. You can retouch your photos easily. You can easily fix common image problems with various tools like red-eye removal, crop and straighten images, change brightness and contrast and many more. Supports various common image formats. Pixia is a free drawing and image editing software. It has various tools to edit images. Also has various undo options. It supports layer editing and unlimited layers. It has various effect plug-ins and also supports Photoshop's plug-ins. It supports TWAIN devices like scanner, digital camera. It supports various common image formats. 2 Pic is a simple program with various options to give your digital photos various effects. You can apply various effects to your images. You can merge images with each other, make images fade into each other, apply frames to images. You can rotate, adjust brightness and contrast, make mosaic from images etc. You can insert texts with various layers. For printing you can also fit the size to A4 paper. ZC Dream Photo Editor Free is a tool to make impressive collages and scrapbooks with your digital photos. It contains various professionally designed templates for various occasions like family, love, cartoon, travel, wedding and others. You can apply beautiful effects to your photos easily. Add text to your images, frames, clip-arts and other special effects too. You can create your own clip-arts by using magic doodle drawing tool. Ultimate Paint is a free software to edit images. You can view, create, retouch or manipulate images easily with this software. You can import images from a scanner. Various common image formats are supported. It has multiple undo/redo options. Some basic features include resizing, rotating, flood filling and text operations. The program has various image filters and special effects. You can also create HTML pages with image thumbnails. Artweaver is a freeware program to edit images. It supports file formats like AWD (its own format), BMP, GIF, JPEG, PCX, TGA, TIFF, and PNG. It supports transparency and layers, various filters like sharpen, soften, emboss and mosaic. It also supports text layers and you can edit font, size, color etc of these text layers. Have many common image processing tools like gradient, crop, fill and selection tools. Multiple undo or redo history and support for plug-ins. It installs and uninstalls easily. is a image viewer and photo editor. You can do various tasks such as file conversion, screen capture, color reduction, slideshow, and animations. You can also insert or update comments written into your image files. Large numbers of formats are supported by this software; some of them are BMP, DIB, GIF, JPEG, JPEG 2000, PBM, PNG, TIFF, TGA, WMF, EMF, ICO, CUR, ANI etc. It has very simple interface and it installs and uninstalls easily. Image Analyzer is a image editing software. It contains both most image enhancement features found in image editors plus a number of advanced features. It has a simple interface. You can do various simple to complex tasks with your pictures. Some of the tasks are: color corrections, sharpen, blur, crop and resize, apply filters, and others. It has more tools also like cloning, warping, and spot healing. FireAlpaca is a free image editing and drawing software. You can handle several image files at the same time by using tabs feature. You can process multiple layers. You can draw freehand drawings especially with a digital pen. You can do various tasks with your images including cutting and pasting, drawing and shading, color changes, and merging layers. You can save your documents as FireAlpaca document or as PSD too. Amazifier is a photo editing software. You can resize images, correct red-eye, add frames, stickers, text, and other effects to your images easily. It supports Filters, Layers, and Gammas. You can crop, resize, rotate images and adjust exposure etc. very quickly. You can draw drawings using magic brushes. It has a user-friendly interface. 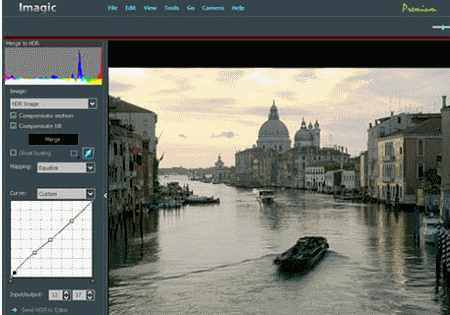 ImBatch is a FREE batch image processor and has a nice GUI. You can edit multiple image files at the click of a button by using scripts. You can create scripts by combining various tasks. It can batch resize and convert images in minutes. It supports all popular image formats like BMP, TIF, TIFF, GIF, JPG, JPEG, PCX, PNG, TGA, TARGA, WBMP, JP2, PSD etc. CraftArtist Compact is a software for transforming your photos to artwork. You can create beautiful designs like photo-books, scrapbooks, greeting cards, invitations and others. You can create a design from scratch or you can choose from a wide variety of professionally designed Digikits (templates). You can create your own pages of any size or you can choose from a variety of readymade templates. You can use various freehand brushes to use. ImgTransformer is a free image editing application. It is an image resizer, converter and image editing software and it can work directly from Windows Explorer. It supports over 30 different image formats. It has a drag and drop feature. You can easily change the format, color depth and resolution of any image. You can also apply adjustments such as brightness, contrast, gamma etc to images. You can rotate, flip and resize images in batch mode too. Fotografix is a free image editor. It requires no installation and you can use it as it is portable software and you can carry it on a USB drive. It is a basic image editor. It has very simple interface. You can access the program's features through toolbar or through menus. You can do various common image editing functions such as cropping, rotation, resizing, and others easily. You can adjust brightness, contrast, color balance etc. too. It has layers feature also. 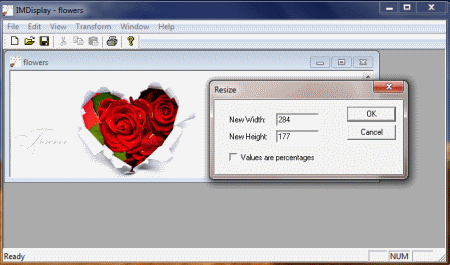 Free Image Convert and Resize is a program for batch mode image processing. It easily converts images as well as folders containing images into different graphic formats, renames, changes their size in accordance by setting parameters. It supports various image file formats such as JPEG, BMP, GIF, PNG, TGA, and PDF (export only). It has very simple interface. 11view is a free image viewer and converter with various special features. The basic features of this program are display, prints and converts images with the highest possible quality. Some special features include various viewing options, loading time interpolation, color management, gamma correction, and batch converter. Editing options include rotating, adjusting brightness, gamma correction etc. You can watch a slide show of your images or can create animated GIFs. You can acquire images from scanner also, and it has send by E-mail function too. Image Tuner is free batch image resizing, renaming, conversion software. It is a simple program that lets you resize, rename, and convert images easily. You can convert between various file formats like JPEG, PNG, BMP, TIFF, and GIF. You can also rename files and add watermarks to them. It installs and uninstalls easily. TwistedBrush Open Studio is a freeware for editing pictures. It has various brush sets to draw images. It has click-and-drag method to create images. There is a color palette, brushes, various shape-making tools, and a large canvas. It supports filters and masks. It supports various graphic file formats. Image Optimizer is an image processing software and has a photo sharing service. You can bulk optimize JPEG, PNG, BMP and GIF files easily with the help of this software. It has built in photo sharing service with ta-electronics.com. You can share your photos online easily. Free Image Editor is a desktop application for editing your digital photos. It uses low system resources like RAM or CPU. There are two modes to start the application one is single mode and other is batch mode. In single mode you can edit a single image. In a batch mode you can edit series of images and can apply same actions to all the images in one go. It will save you lot of time. You can resize, crop, insert text and shapes etc. easily to images. You can save your images in one of JPG, GIF, PNG and BMP formats. PicPerk is a free image viewer and editor. It supports various common graphic formats like JPEG, GIF, TIFF, BMP, PCX, WMF, and TGA. You can do various common file operations like copy, move, rename, delete, convert and print. It has around 33 image editing effects including crop, resize, and red-eye removal etc. You can slide show your pictures with PicPerk, and set any image file as desktop wallpaper. It has thumbnails, full screen viewing and zoom options. VirtualPhotographer is a free image editing software. It gives you professional results easily and quickly. It has a plug-in filter which saves time. You can apply various effects with a single click. You can do various common image editing tasks easily. It has over two hundred presets. You can do your editing in a batch mode too. SunlitGreen Photo Editor is a free graphic editor. It has very simple interface. You can drag and drop to open photo files. You can view, resize, rotate, apply color corrections and effects to your photos easily. It supports image filters for creating special effects. You can preview your images before making any adjustments. It supports various common features like crop, duplicate images, adjust color levels, contrast and brightness, color balance, hue and saturation etc. LazPaint is a free image editing software. It has very simple interface. Some main features of the program are multiple undo, rotation, filters, alpha blending, selection of any shape etc. Some additional features are pen drawing with transparency, motion blur filter, selection rotation, and shaded shapes. DaVinci is an image editor, photo downloader and organizer. It has image improvement wizard to fix your photos. It has various features like brightness control, red-eye removal, fixing the highlights, white-balancing the image, infra-red and black and white conversion etc. You can also resize, rotate, crop, sharpen, sepia conversion etc. to your images easily. You can simply connect the camera to your system and the program will automatically download all your images from the camera or flash card reader and organize them without a single click. 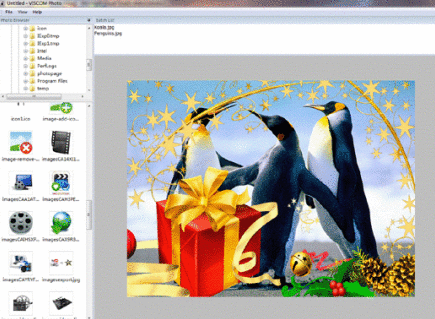 FocusViewer is a free program for basic image editing. You can view, organize, and fix photos easily with the help of this program. It has various features like slideshow, wallpaper with a calendar, screen capture and contact sheets etc. You can rotate, crop, resize, remove red eye and add about 20 photo effects easily with simple clicks. You can preview your photos before applying any effect. Cylekx is a free photo editor for PC. You can design graphics, create animation for web, edit pixels etc. with the help of this program. It supports layers and multi-frames. You can write your own filters too. It support batch processing also. It has various templates. FreeVimager is a freeware program for viewing photos, videos and hearing music. It supports and can edit various graphic file types like JPEG, BMP, GIF, TIFF, PNG, EMF etc. You can save them as PDF. It supports JPEG lossless rotate and crop. It has multi monitor support and you can switch from one monitor to another through context menu or by using TAB key. Kigo Image Converter is a user-friendly image browser and converter. It supports all major graphic formats including BMP, JPEG, JPEG 2000, PNG, TIFF and TGA etc. You can convert between image formats, adjust image size (resize), add watermark and make thumbnails. Its interface is very simple and intuitive. Brush Strokes Image Editor is a free image editor for Windows. You can use it as a paint program, graphics editor, photo manipulator, and as a bitmap editor. You can edit different image formats like JPEG, GIF, BMP, PNG, TIFF, PCX, BMP, TARGA etc. You can also create GIF animations for web. Various tasks you can do with the images are: adjust colors, apply filters, rotations, and transformations, use magic-wand for selections, you can also use any picture as a brush or fill pattern, blur and sharpen images and can capture frames from video cameras. Toolwiz Pretty Photo is a free image editor. You can modify or apply various effects to your photos easily with few clicks. It has more than 30 professional image filters and also support image resize, flip, crop, rotate, layers, add shadow, add frame and others to your photos easily. You can also change the hue, saturation, color balance, brightness and contrast easily. You can insert various objects to the photos such as line, text, image, rectangle, ellipse etc. ImageTasks is a free software for editing images. It has a batch processing mode for large sets of image files. You can generate HTML albums too. Some features include hue, saturation, brightness, contrast, color balance, resize, cut, rotate, flip and watermark. It has 12 graphic filters. In a batch mode you can apply all the settings and filters to a large set of image files. It supports various image formats such as JPEG, GIF, TIFF, PNG, BMP and others. 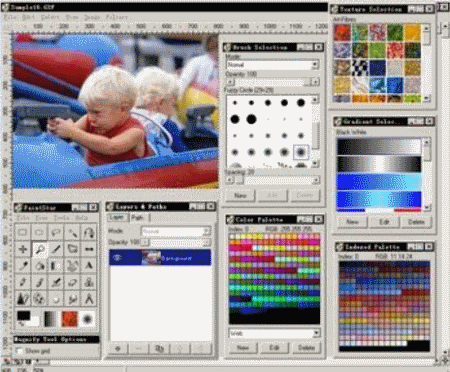 FirePaint 2006 is a free Image Editor. It has a user friendly interface. It supports various popular image formats such as JPEG, GIF, BMP, TIFF, PNG, TGA, WMF, EMF, ICO etc. You can do general editing with images easily. It installs and uninstalls easily, and has a help book and can update automatically. Aoao Photo Editor is an easy image editing software. You can convert between various image formats like JPEG, GIF, BMP, TIFF, and PNG. With Aoao Photo Editor you can batch rename, resize images, and add watermarks to them easily. You can watermark your images with text or image. You can apply various photo frames to your images. Aoao Photo Editor is easy to use. Photo Image Maker Free is a free image editor. You can easily create beautiful graphics and templates with your photos. It has more than 300 default templates. It allows the users to design the shapes and shapes can be filled with pictures, colors, gradients and text, and can have borders thus creating beautiful effects. It comes in 28 languages. Tinuous is an image converter and batch processing software. It can do JPEG lossless transformations. Some of the options include are shrinking, rotation, correction, and output file name setting. It supports JPEG, BMP, PNG, TIFF, and GIF formats. You can do a batch process for multiple files at once or apply effects to a single picture easily. You can change the contrast, brightness, saturation etc. in a batch mode too. Perfect Effects Free is for enhancing and stylizing images. You can choose from over 70 effects to your images. You can give borders to your images. You can use various brush styles to enhance your images. You can give any effect with a single click or combine many to create a different look. i.Mage is a small and fast graphics editor available free. It focuses on pixel editing. It supports various common image formats. It launches and loads images quickly. It has various image editing tools including a brush, eyedropper, selection tool, zoom control, text tool, eraser and others. You can easily rotate, flip, and resize images. It has various filters too. Dimin Image Viewer n5 is an image viewer and basic image editor. You can view images in various formats and can apply a variety of effects to them. It also supports filters and you can apply them to your images easily. It has various visualization tools, such as the Panoramic Photographs Tool and the Big Image Navigator. It has drag and drop feature. It supports various languages and you can apply various skins too. It has automation scripts feature and you can do various tasks of image editing easily with the help of scripts. NPS Image Editor is a free image editor software. It includes various basic drawing tools including brushes, shape tools, clone, transformations etc. You can write on your images with text tool with customizable fonts and effects. You can zoom to any level, and it has display a grid option which makes its easier view of individual pixels. It has more than 50 filters and effects and you can apply them to your images easily. You can apply various effects such as black-and-white, red eye removal etc. Photo Viewer is a free image editor and viewer. You can view and edit your photos easily. You can easily edit your pictures, various editing tools are provided. You can resize, rotate, flip, sharpen etc. Pictures can be shown in full screen or you can play slideshow of your pictures. Various common image formats are supported. Babya Photo Workshop Professional is a free editor. It has various filters and you can apply them to your images easily. You can import images from a scanner too. You can use batch process also to edit your images. It supports various common image formats like JPG, BMP, GIF, WMF etc. Photo View is a image viewing tool and a basic image editor. It is a simple program that lets users easily preview images and their properties and manage them easily. It has simple and basic interface. It has explorer like feature for browsing images in folders. It has some basic image processing tools. You can rotate, flip, invert, and equalize images. It supports various languages. It comes as a ZIP file and no installation is required. EasyPhotoImager is a free image editing tool. It supports various formats like JPEG, GIF, BMP, EMF, TIFF, WMF, PNG, ICON etc. You can convert between formats easily. It has drag and drop feature. You can easily resize, convert, add watermarks and create thumbnails of your images. You can view the real-time preview of effects without applying them originally to your images. It has explorer like folder navigation. Also you can edit or apply effects to your images in single or batch mode. 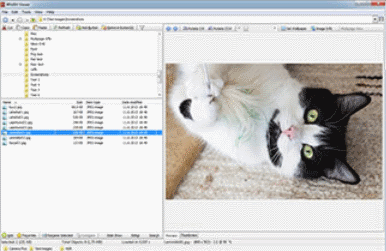 ImageEnhacer is a free graphical browser and a simple image editor. It supports various graphic file formats like JPEG, GIF, BMP, PCX, PNG, TGA, TIFF, ICO etc. You can convert between these formats easily. Apply various effects to your images like brightness, contrast, gamma, color expansion etc. You can crop your images. You can slideshow your images. It also supports layers. YAPP is a free and simple image editing software. It allows you to do basic to complex manipulation of images. You can create various file formats, including jpg, icon, and cursors. You can apply various image transformations. It supports multi layered images too. It also allows the users to use the paint.net plugins. Image Components is a free image editor and can do various tasks for you. You can open a single file or whole directory. It supports various file formats like JPG, BMP, GIF, TIF, PNG etc. and you can convert between them easily. You can rotate, flip and mirror, crop, resize etc. easily. You can apply many filters like invert, grayscale etc to your images. It has a glass tool to zoom a particular part of the image. It supports scanners. You can do simple page or zone OCR too. Photo Manager 2010 Standard is a free image editing software. You can preview, organize, edit, and print your digital images with Photo Manager 2010. You can browse folders with its explorer like interface. It also supports RAW format. You can batch process images to easily rotate, convert, rename etc. You can crop your images too. You can also find images on your computer and remove duplicates. 32VerSee is a free Photo editor. You can use it as a picture viewer or image converter. You can slideshow your images. It performs instant zoom and stretch. It can change wallpaper from JPG, BMP or GIF. You can also associate supported picture types with this program. Element Photo Gallery is a free image editor. It is powerful, easy to use and fast media organizer. You can edit your image color, brightness, contrast, crop, size, canvas size, and remove red eye etc. easily. You can rotate the images too. It integrates with popular social networks such as Facebook and Flickr that make easier to share your collection. 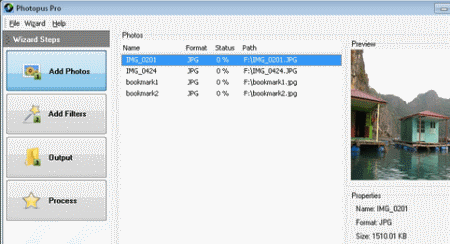 ezImageConverter is an application that can batch convert images to a different image format. Various image formats are supported like JPEG, BMP, GIF, PNG, TIFF, TGA etc. You can apply number of filters to the images during the conversion progress. Various supported filters are resize, grayscale, auto color, auto contrast, and air brush. is a free basic image editing software. It does basic image editing such as rotating images clockwise and counter clockwise. You can apply transformation effects to your images like color to grayscale or sepia easily. Laf is a small program that has several features for modifying images. Some of its features are: removing pixels of a certain color range, selector tool that auto finds shape borders to help with selecting objects, stitching of several images into a single one, image morphing. HC Image Editor is a free and simple image editor. It has various filters in blurring, sharpening, special effects, borders, color reduction and embossing categories. You can convert between various image formats. You can edit many images at same time with multiple user interface. It has an internal web browser. FastPhoto is a great, free image editing software. It enables you to add nice effects to your images easily. It includes all essential features for manipulating images. It also supports plug-ins. You can download more plug-ins. You can draw lines, circles, rectangles etc. or you can add objects to your images easily. You can create a standalone EXE from your pictures. Pixelitor is a free and open source image editing software. It supports layers, image effects, and multiple undos. You can adjust the colors and transparency of your images. It has more than 70 image filters. You can apply then to your images easily. It supports various image file formats like JPEG, PNG, BMP, GIF etc. Lumia Splash is a free image editor. You can add text strings with effects over the image and can use geometrical shapes or brush strokes. You can create your own image or edit an existing image. You can apply various effects to your images. With Lumia Splash you can turn your images into homemade works of art. 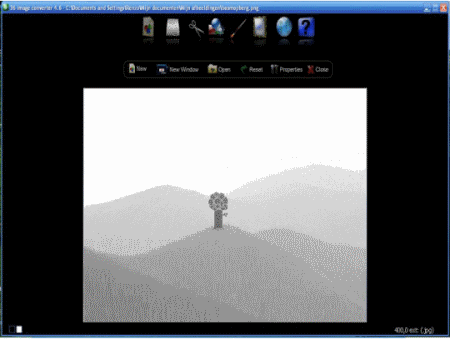 SView5 is a basic image editor. Some of the supported formats include JPG, GIF, PNG, BMP and PSD. You can rotate, crop, flip, resize images, adjust image color, add special effects, and even edit metadata. You can change brightness, contrast, grayscale, red eye removal, alpha channel extraction, watermarks and histograms etc.